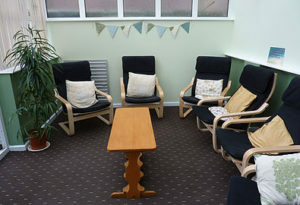 In Wrexham, I work from friendly welcoming rooms within Advance Brighter Futures. 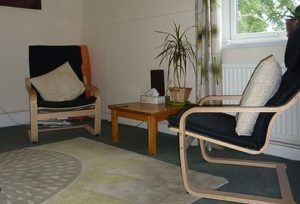 The Snug is a cosy second floor room, with lift access available by prior arrangement if required. Or The Conservatory is on the ground floor, and can be accessed either from the front entrance or directly from the car park. There is wheelchair ramp access to this room if required. There is roadside parking available on the street outside, or there is a car park to the rear of the building. Postcode and directions can be given when the first session has been arranged. The rooms are easily accessible from the Wirral, North Wales, Cheshire or North Shropshire.